Kids are always so much curious about the Christmas. They know it’s the time of the year when no one will stop them from playing, eating candies, chocolates and much on Christmas cakes. The kids love to invite their friends on Christmas parties at their home to celebrate the joy of Christmas with their age fellows. The arrangements for a kids Christmas parties are totally different from those of the adults’ ones. Here juices take the place of wine, music is replaced kids rhymes, and Christmas songs, and there are Santa, candies, chocolates and other kids’ eatables. The Christmas table is the centerpiece of Christmas Day food. It’s the place where you serve everything you have slaved over, and where guests will enjoy the fruits of your labour. It is the most appealing things for the kids too. When they arrive they first ponder what’s placed on the table. A sensibility decorated table will bring drooling for kids. It increases their hunger and keeps up the interest in the party. Here are some ideas for making it perfect for the kids’ party. Always select the disposable glasses and plates for the kids table. The colorful glasses will be appealing for the kids. It will also drop the probability that the glasses or plate broke and create a hassle for you and the kids. Place small gifts on the table chairs, it will cheer them up and make them excited for the dinner. Take a printout of the Christmas coloring layouts and place them with some colors on the table. It will allow the kids to enjoy doing some activity while enjoying the meal. Don’t serve the candies first. The kids will concentrate on them and will not eat the healthier food. Keep the chocolates, candies and dessert after dinner. It will keep the internet of the kids and they will eat the dinner in the greed of chocolates. Place a basket full of Christmas candies and chocolates in the middle on the table. It will be the perfect decoration for the kids rather than crystal pieces or other items that the kid can break. 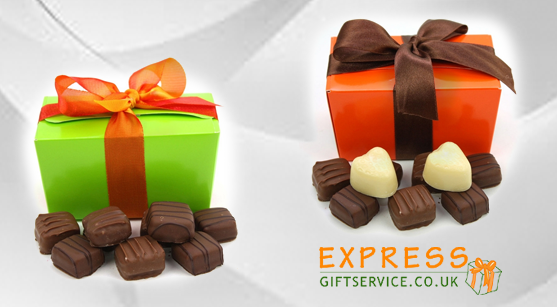 If you are away from your child on the Christmas then send Christmas chocolates online and selecting the delivery timewhen he is having the kids party. He would love to show his friends what you have sent to him and feels proud of you. Don’t forget to place table napkins on the table.